Guitar is a popular first choice for many who want to learn to play an instrument. Americana folk performer Kristin Rebecca learned to play guitar at age 13 and began taking voice lessons at 13. It took about two years for Rebecca to become comfortable with the technique involved in playing the Celtic harp. 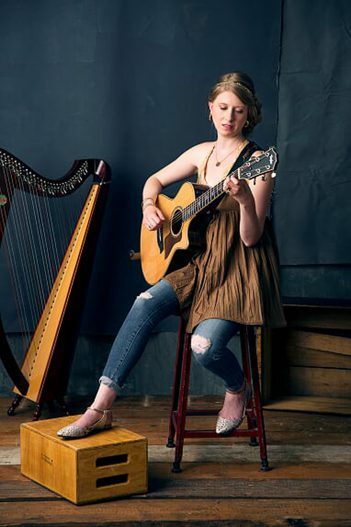 She now travels the U.S. playing guitar and harp and singing her own original songs. Rebecca will perform Dec. 8 at 8 p.m. at Logan Street Sanctuary, 1274 Logan St. Noblesville. Living in Maryland makes it difficult for Rebecca to choose venues in other states. Tickets are not required to attend the show but a $10 donation to Logan Street Sanctuary is suggested. For more, visit kristinrebecca.com.